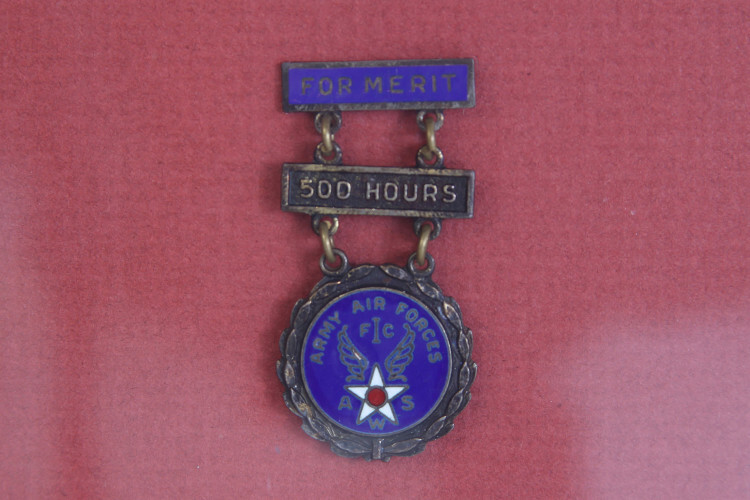 Volunteer observers with 500 hours of service were awarded this merit medal. 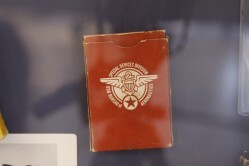 Below the MERIT and 500 HOURS bars is a disk enameled with the Army Air Forces winged star insignia, AWS, and First Fighter Command initials. 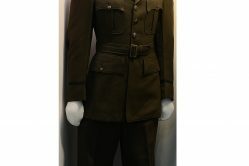 Almost one million men and women–volunteer “soldiers out of uniform”–served in the AWS. 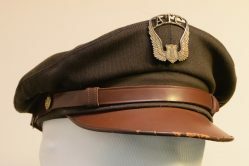 Some were ground observers scanning the skies for enemy aircraft; others worked in the information and filter centers as part of the Aircraft Warning Corps, the second component of the AWS. Almost 750,000 of these volunteers served under the First Fighter Command whose jurisdiction stretched from Canada to Key West, Florida. Since it wasn’t practical to use military personnel as ground observers, the logical solution was to call on civilians to watch the skies. Newspaper ads, radio programs, and other means were used to recruit the tens of thousands of volunteers needed to join the Ground Observer Corps and man the observation posts. From all walks of life, all ages, all professions, the volunteers of the GOC were united in a common goal–to protect the United States. Over 14,000 observation posts were manned in two-hour shifts around the clock. Some were only shacks, hen houses, or junked automobiles while others were more elaborate shelters. Delaware was one of the first states to have ground observers organized and serving at observation posts. 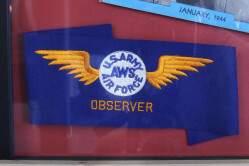 While the ground observers were the eyes of the AWS, the nerve center was the Aircraft Warning Corps. The AWC was made up of information and filter centers based in secret locations. 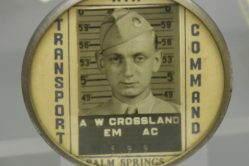 These centers, also manned by volunteers, received reports from the observation posts and plotted and tracked aircraft aerial activity. Modeled after the successful British system, each filter center controlled about 20 observation posts. Aircraft spotters learned to identify all types of aircraft through intensive training classes and training aids such as aircraft spotter cards, guides, and silhouette models. Buttons and armbands identified ground observers, and special pins and medals were awarded to those with the highest number of volunteer hours. The Aircraft Warning Volunteer magazine devoted to the activities and interests of the GOC and AWC contained news articles, photos, and aircraft recognition tests. When the focus of the war moved from a defensive position at home to an offensive position in Europe and Asia, the risk of attack on the home front was reduced. 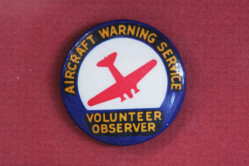 In May 1944 the War Department ordered the inactivation of the Ground Observer Corps and the Aircraft Warning Corps.